Here is a cheering team which shows you a grand card stunt, generated from your favorite image file. 1,024 (=32×32) virtual members cheer you up with colored flipboards. You have only to upload an image file (JPEG, GIF or PNG format, under 500KB) from the form below. 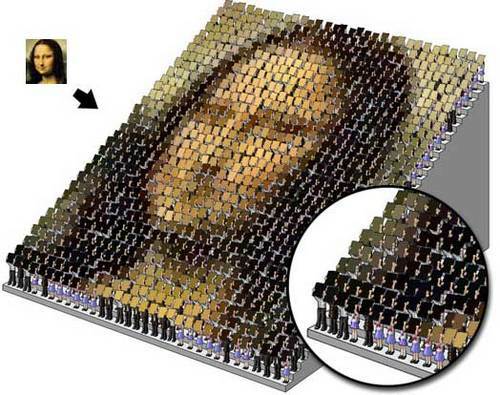 In tens of seconds, a JPEG image will be generated.